got from the cheap hexapod by Esteve. 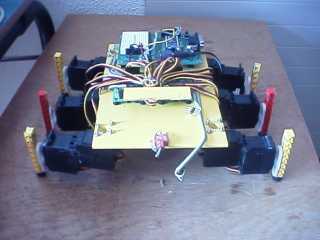 I use 12 hitec servos for the 6 legs with 2 degrees of freedom. motors are from a 9 volt battery pack.